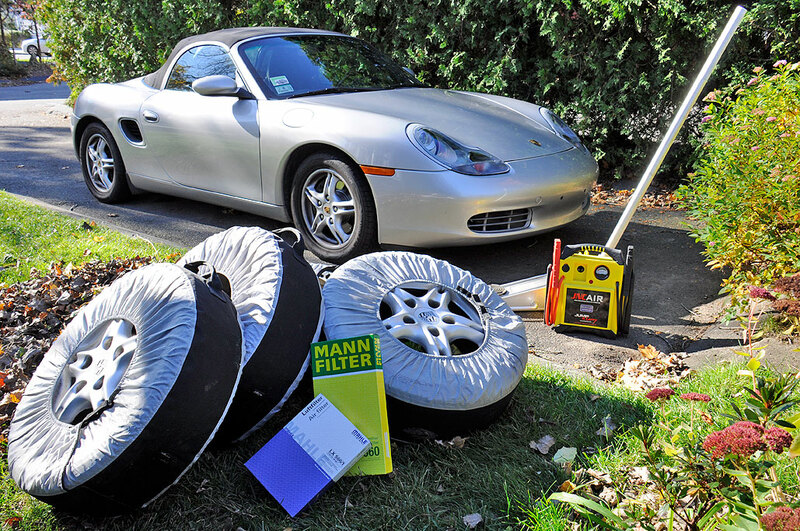 The Winter prep for the Boxster is a ritual we have been performing for over ten years. Prep consists of: swapping the summer tires for winter one; checking the brake pads; and installing the hard top. We have been putting off the changeover because the Fall has been so warm. However, now that we are into November, and with a Nor’ester predicted for Wednesday, we knew it would not be wise to put things off any longer. This year’s prep was a little more involved as we had a few additional maintenances to complete before the car would be winter-ready: rotor replacement; changing air/cabin filters; purchasing new snow tires. 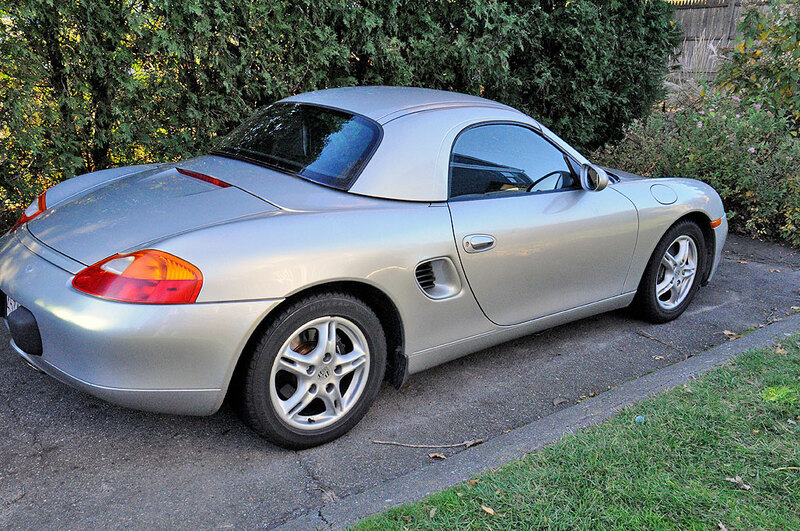 Our go-to source for Boxster project parts is Pelican Parts. They usually have what we need in stock, have great prices, and ship quickly. As with all Boxster projects, our reference sources are Dempsey’s 101 Projects for Your Porsche Boxster and Bentley’s Boxster Service Manual . Changing the rotors (rear, front) were completed in October. The project took a little longer than expected, but we finally got the problems sorted out. Fortunately, we didn’t run into any more unexpected problems and the rest of the projects went much smoother. The cabin filter is located on the passenger side under the front hood. A small clip on the right held it in place. The point to note when installing the new cabin filter is the direction of the filter—the “Air Flow” arrow printed on the side of the filter should be pointing DOWN. Getting at the air filter was a bit more awkward, but still fairly simple. The air filter is located to the right of the engine on the driver side rear. Both the engine cover and carpet overlay (located behind the seats) must be removed in order to access the air filter holder. Both are held in place by large tabs (twist to unlock). With the covers off, the air filter holder may be pulled up and out. We find it easier to remove the entire holder, but it is possible to pull the filter out with the holder in place. We don’t like it because we feel that some of the crap on the dirty filter may go airborne. Most of the above tasks can be done by one person. The only two-person task is installing the hardtop (unless you have a hoist and a garage ). In order to give ourselves lots of working room, we open both doors and lower the windows. We approach the car with the top from the rear and lower it into place. Now that we have done it about twenty times (on in th Fall, off in the Spring), we have the steps down pat and can complete the task in just a few minutes.